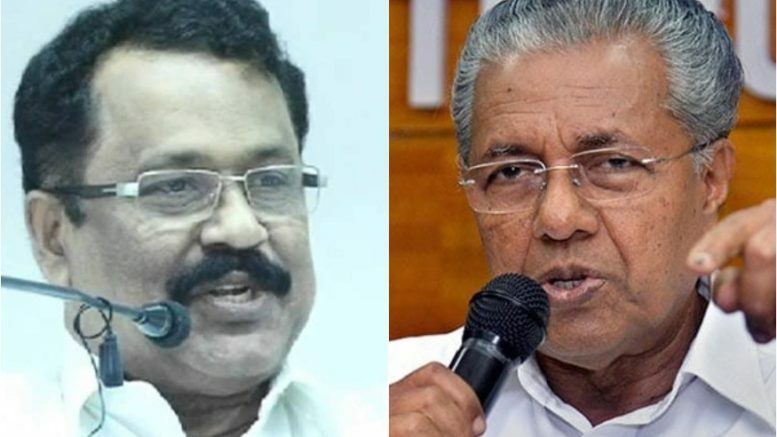 Kerala BJP president PS Sreedharan Pillai has sparked controversy after he reportedly said the Sabarimala issue was a “golden opportunity” for the party. In an audio clip, Pillai can be heard claiming that the chief priest of the Sabarimala Temple consulted him over closing the doors of the sanctum sanctorum if women tried to enter the shrine. The clip, which has since gone viral, is from Pillai’s address to the Yuva Morcha state committee in Kozhikode. The BJP leader purportedly said chief priest Kandararu Rajeevaru was apprehensive about shutting the doors of the temple as he feared contempt of court but he decided to go ahead with the decision after consulting him. “The Thantris community has more faith in BJP and its state chief. When women were about to enter Sabarimala, he called me up. I had given him a word and it coincidentally came true. He was a bit upset over shutting the doors of sanctum sanctorum fearing it would invite contempt of court. I was among the few he had contacted that time. “I said he is not alone. We’d be the first to be slapped with the charges of contempt of court if it comes. There would be tens of thousands of people to be with him. Upon our word, he took a firm stand. That decision had actually left the police and the administration baffled. We hope he’d repeat it again. Later, I became the first accused and he the second accused on charges of contempt of court… As we both figured in, his confidence increased,” he allegedly told the gathering. According to the News18 report, Pillai did not deny making the speech and instead said it was on the BJP youth wing’s Facebook page. He said the speech was intended to motivate party workers and show them the “democratic way” of protest. “It is now aired to distract everyone from the merciless acts going on in Sabarimala,” he said. On the conversation with the Thantris, Pillai said he was only providing a legal opinion as a political leader and legal adviser but refused to divulge more details. BJP general secretary Muralidhar Rao said he hasn’t heard the clip and doesn’t know whether it has been edited or not. “But it shouldn’t be seen as the chief priest acted at the behest of the BJP. The thantri is an eminent person and he would consult a number of people,” he said. Weeks after violent protests against the entry of women of all ages into the Sabarimala Temple rocked Kerala, the shrine opened for a special puja on Monday evening. So far, 3,731 people have been arrested and 545 cases registered in connection with last month’s violence over the state’s attempts to implement the Supreme Court ruling of allowing women of menstruating age to enter the revered Sabarimala temple. The BJP and various Hindu outfits are on a warpath against the Left Front government over its decision not to seek a review of the top court verdict. Be the first to comment on "Sabarimala agitation was BJP agenda, golden opportunity to score over rivals: Kerala BJP chief"